Our first beer, Mayflower Gold, had received a very positive response and was selling very well. So it was time to brew a second beer in time for the opening of The Essex Beer Shop in June 2013. Perfect appearance in the glass. This next beer was to be a true collaborative brew with Andy Skene at Dominion Brewery. 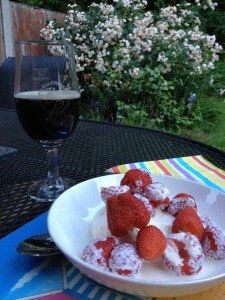 We both agreed that as we were brewing in May it would be great to make a Mild for the Mild month of May. Mild as a style has always been one of my favourite styles. I think I got this from my dad who used to drink mild regularly and a pint of mixed (mild & bitter) often. However, I grew up at a time when mild was very rare in East Anglia and the South in general. Often the only time I would get to drink it was at beer festivals and it was always my opening drink. Friends used to see me with a glass of mild and thought I was going for something thick and heavy – little did they know! Milds are wonderfully refreshing and easy drinking, but still with beautiful complex tastes. Favourite milds included those from Thwaites, Timothy Taylor, Batemans and Holdens. These are now joined by recent great milds such as Hobsons and Oscar Wilde from Mighty Oak. However, Andy and I decided to go to a more traditional mild at a higher ABV. So we aimed for 5.5% and wanted to use a blend of darker malts to give a rich complex taste. For hops it had to be English hops- Whitbread Goldings and Bramling Cross. On the day of the brew we discussed a number of names, I even asked on Facebook for suggestions, but in the end we wanted it to be a little mysterious hence A Mild With No Name. Great for a summer’s day! The reaction to the final beer has been a pleasant surprise. We did not know if people were ready for a mild, let alone a mild at 5.5%. We have had so many positive comments about it when served on draught or from the bottle. They include “Really hits the spot”, “do not usually like milds but this is great”, “easy drinkability”, “very impressed”. We intended it to be a one off but now we intend to brew again! 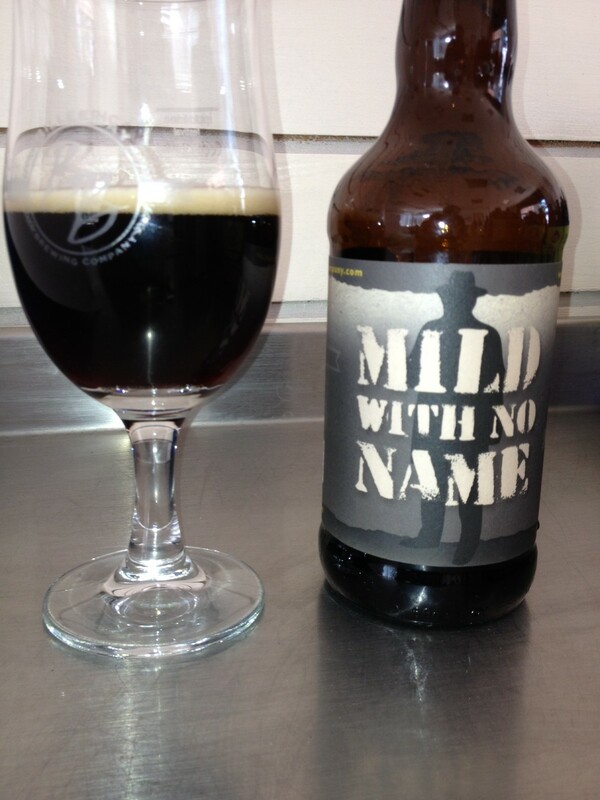 A Mild With No Name pours with a beautiful dark colour and creamy white head. People can pick up many different flavours. Chocolate and coffee dominate, but people have picked up cherries, liquorice and slightly smoked tones. Its sweetness means that it can accompany desserts very well. 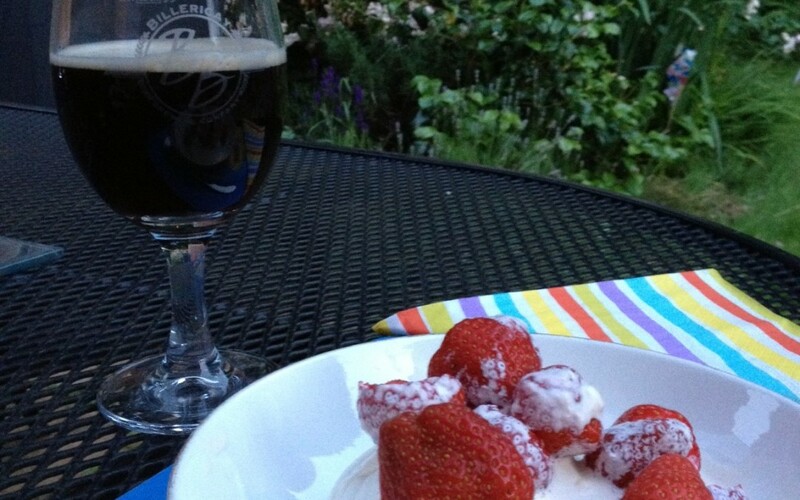 Two that I have tried it with are banoffee pie and strawberries & cream – I’m sure it will go with many more – let us know if you have tried anything else.